What a great property for the money! 2.28 acres(mol). So well kept! 4 bed plus study or flex room. Formal dining. Spacious living room with corner FP. Large master suite with remodeled bath. Nice kitchen with pantry storage, breakfast bar, desk, etc. Zoned heat & air. 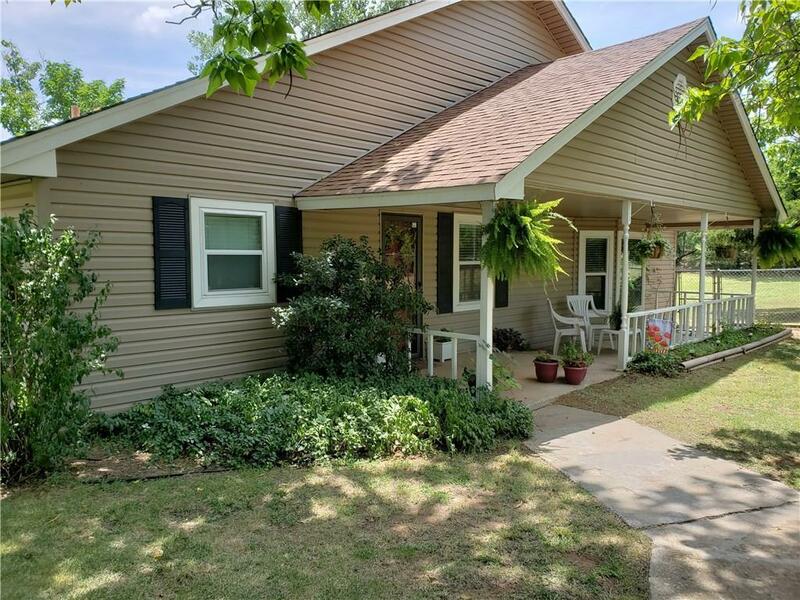 Great exterior featuring an oversized 2 car garage/shop, well house, large covered front porch, back deck, koi pond, fenced and x-fenced pasture. ***STORM CELLAR*** Original portion of the home was constructed in 1934; the newer portion was added in 1980.